The economy has been growing at breakneck pace since the end of the recession and wage rises have finally started to come through. However, consumers and businesses remain wary of taking on loans and in some cases lack access to credit. A research report from the Department of Finance shows that household debt has fallen to levels not seen since 2003 in terms of disposable income. That is good news as it shows we need not fear another debt bust at the moment. But it also tells us that despite record low interest rates, households are not only taking on little debt, they are also saving more than they borrow. That’s a worry for the economy as it may indicate that aside from the debt-fuelled binge of the 2000s, we can no longer deliver growth and are set for economic stagnation across the rich world of which Ireland is a part. Looking at the data for January, net mortgage lending fell by €86m in what was the first monthly fall since last May. This came despite record numbers of people in work and a 4.1pc surge in weekly earnings in 2018. 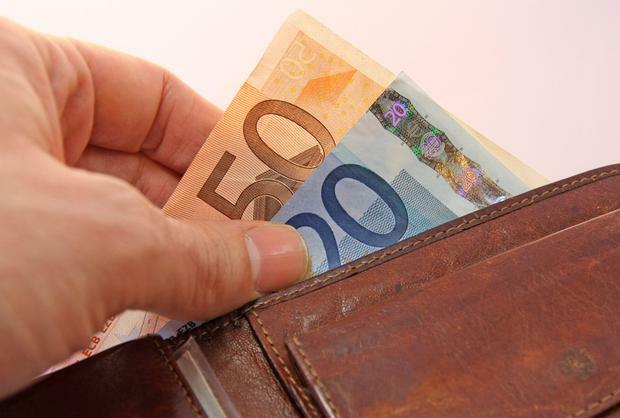 Overall, households had deposited €13bn more with banks than they had taken out in loans by the end of January, according to Cantor Fitzgerald economist Alan McQuaid. That is a sign that the scars of the crisis here have not yet healed and may not bode well for economic growth, which after years of being driven by exports had been expected to shift to domestic demand. If you strip out export performance and the multinationals, economic growth here has been good, but not spectacular. In 2018, gross domestic product rose 6.7pc, whereas total domestic demand, which reflects the domestic economy, was up 4.7pc, a very respectable figure but not the “best in the EU”. A recent paper by Lawrence Summers, the former US treasury secretary, and London School of Economics professor Lukasz Rachel speaks to the Irish experience as much as any other. “It is worth considering that in the US during the period prior to the financial crisis, negative real short-term interest rates, a huge housing bubble, erosion of credit standards and expansionary fiscal policy were only sufficient to achieve moderate growth,” they wrote. In other words, if we are to live in a world without the excesses of the boom, economic stagnation is the likely outcome.